“I am pleased that Senator Booker has introduced a Senate Companion to H.R. 40. I salute his dedication to elevating the discussion of reparations and reparatory justice, and look forward to the dialogue that this issue engenders on and off Capitol Hill,” Rep. Sheila Jackson Lee (D-TX), who introduced similar legislation in the House, said Monday. 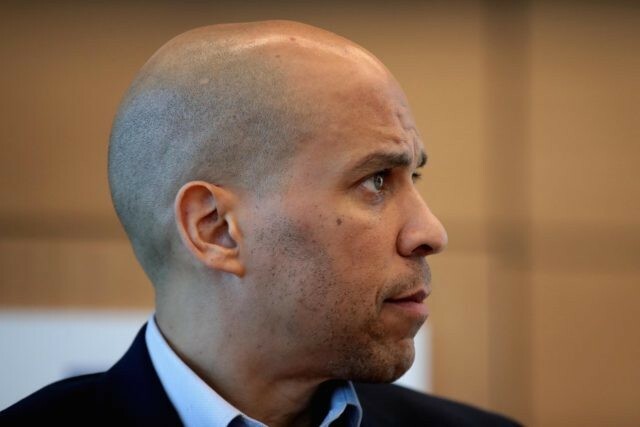 Booker’s announcement follows Al Sharpton’s National Action Network convention, during which several other 2020 Democrat White House hopefuls expressed support for creating a commission to study reparations. Later, in an interview with Equal Justice Initiative executive director Brian Stevenson, O’Rourke said he believes the word “repair” is foundational to reparations. “Until all Americans understand that civil rights” also involves “the injustices that have been visited and continue to be visited on people, we will never get the change that we need to live up to the promise of this country. So absolutely I would sign that into law,” said the Texas Democrat. Sens. Kamala Harris (D-CA) and Elizabeth Warren (D-MA) also told Sharpton that they back the measure if elected president. However, not all high-profile Democrats agree on how to address the issue of reparations. Clyburn, largely seen as a 2020 kingmaker of sorts in South Carolina, has long advocated for the “10-20-30” policy to solve poverty in different parts of the country. The policy would direct ten percent of federal funds to counties containing at least 20 percent living below the poverty line in the last 30 years. Sen. Bernie Sanders (I-VT), another 2020 presidential contender, has endorsed the South Carolina Democrat’s proposal.